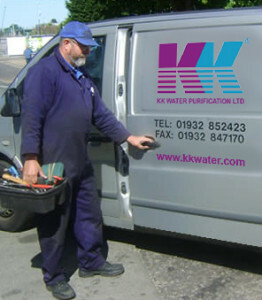 KK Water carries a comprehensive range of genuine spare parts to keep your systems operating correctly. We also have trained service engineers that can visit to fix faults or perform periodic maintenance throughout the UK, for all makes and models of UV Systems and Water Softeners. We can also call on the extensive support offered to us by our principals, Aquafine, Viqua & Trojan. Replacement Parts for other manufacturers such as Hanovia & ATG Willand. We can also supply replacement UV lamps and quartz sleeves for other manufacturers such as Hanovia and ATG Willand. Contact us with your details and we can supply you with a cost effective alternative for the popular systems. 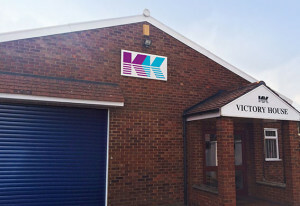 We offer a minimum 12 months warranty on our systems with the lower capacity units from Viqua (formally R-Can) carrying more attractive terms of 3 years pro-rata for the electrical parts. There are some conditions, such as correct maintenance, attached to these longer warranties so please see the various product ranges for details. Consumable lamps and sleeves also carry 12 months warranty as standard. Access is not limited to KK Water so the following information is provided. When you consider the time difference between the UK & North America it could be used to your advantage? Here are a couple of handy videos showing you how to replace your UV Lamp.